This is a full guide on your rights as a tenant in Washington. Please Read Carefully. 1. Make sure you read a lease carefully before signing it. Ask your realtor and/or landlord anything that you do not understand. Search for hidden fees or penalties, because if you sign the document it becomes legally binding. 2. If you notice something missing or something important, make sure you affirm it in writing. Never count on a verbal promise. 3. Make sure you understand who pays for heat, electricity, hot water, snow removal, trash disposal etc. Remember, when you sign the lease agreement, Washington tenant rights state that the document becomes legally binding, meaning it is legally enforceable by the courts. 4. Make sure that all utilities and appliances are working properly. Washington tenant rights state that it is the landlord’s responsibility to ensure that the property’s appliances are functional. 5. 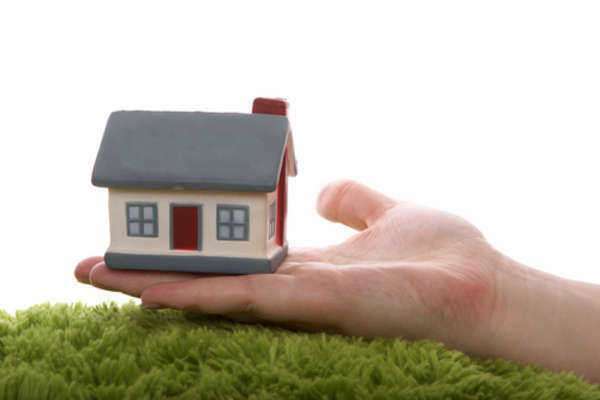 Your landlord’s insurance will not protect you from loss or damage of your personal belongings. Because of this, you should consider purchasing renter’s insurance. 6. Make a list of substantial problems in the apartment. Include the shape/condition of the floors, windows, floors and other areas. Washington Tenant Rights: What is a Security Deposit? 4. WA Tenant Rights: Based on Washington tenant rights, all landlords must attempt to get rid of any infestations, including rodents, insects or other pets. Note: this Washington tenant right is not applied if the infestation was caused by you or your roommates. 5. WA Tenant Rights: The landlord, according to Washington tenant rights, is required to make repairs when something breaks in the house. Note: this right is not acknowledged when the damage is caused by normal wear and tear. 6. WA Tenant Rights: The landlord, based on Washington tenant rights, is required to replace broken locks or configure functional lucks for new keys if requested to do so. 7. The landlord, according to Washington tenant rights, is required to provide smoke detectors. You, the tenant, is required to maintain the detectors, including replacing the batteries. 11. The landlord—in response to a basic Washington tenant right—is required to provide you with a receipt for your rental payments. 7. WA Tenant Rights: Restore the dwelling to the same condition as when you moved into it (with the exception of normal wear and tear). Washington Tenant Rights: Can the Landlord Change the Rental Agreement or Raise Rent? b. If the landlord wishes to convert the dwelling to a condo, a Washington tenant right states that he/she must give the current resident(s) 120 days’ notice. c. In a month-to-month agreement, the landlord is allowed to raise the rent as much or as often as he/she wants to. That being said, Washington tenant rights states that the rent cannot be raised to retaliate against you for something you—or your roommate—did. 2. What happens if the Property is sold? a. Sale of the property will not automatically terminate a lease or a month-to-month agreement. When a unit is sold, the old landlord must notify you of the new owner’s address and name. The old landlord must then transfer all deposits to the new owner. Washington Tenant Rights: When is a Landlord Allowed to Enter the Residence? • A new Washington tenant right states that the landlord must give the resident at least 2 days’ written notice before entering the unit. The notice is required to specify the date(s) of entry and either the time or a period of time during which the entry will occur. The notice—according to this new Washington tenant right—must also include a contact number in case a rescheduling is needed. Washington tenant rights state that after you move out, your landlord has 2 weeks to give you your security deposit back. If the money is required to pay for repairs that extend beyond wear and tear, the landlord must send you a letter (within 14 days) stating why he/she is keeping all or a portion of your money. If you have trouble getting your deposit back, call CLEAR at 1-888-201-1014. If a landlord wants a tenant to move out, the landlord—according to Washington tenant rights—must follow specific rules. This portion explains the reasons why landlords may evict a tenant and what methods may be applied. This section will also explain what you can do if your landlord attempts to evict you. In a month-to-month agreement, landlords do not have to have any reason for requesting you to move. That being said, a Washington tenant right states that the landlord must tell you in writing that he/she wants you to move; this notice must be sent at least 20 days before the end of the rental period. For regular leases (1-year, 2-years etc. ) a landlord typically cannot ask you to move-out without a reason. o If you violate the terms of the rental agreement, the landlord can give you a 10-day notice, informing you of the eviction process. An example of breaking the rental agreement would be keeping a dog when the contract cites a “no pets” rule. If you get rid of the dog within 10 days after receiving the notice, the landlord is required—according to Washington tenant right law—to stop the eviction process. If you do not fix the problem, you will be forced to move out.